Wendy and fellow Kiwi Laura operate on a baby in the Red Cross and Red Crescent field hospital. The early morning birds are chirping and the sun has barely risen over the horizon when Wendy Stuart starts her day. She unzips her tent and makes a dash down the gravel path, through the pouring rain, to the makeshift kitchen. After making a batch of porridge for her teammates, she runs to the shower where she and a few frogs have a quick wash before a 0730 meeting starts the working day. While it may sound similar to many Kiwi camping trips, it couldn’t be more different. Wendy is in the midst of the biggest humanitarian crisis in the world. She’s working as a theatre nurse at the Red Cross and Red Crescent Field Hospital in Cox’s Bazar, Bangladesh. It’s been one year since more than 600,000 people began crossing the Bangladesh border, fleeing violence in Myanmar. Although 12 months have passed, the situation for people living in the camp has barely improved. Monsoon season brings heavy rains from June through August which cause flooding throughout the country. People living in the camps are particularly vulnerable. “Everyone is worried about landslides; all the trees have had to be cut down to build the shelters, and engineers are worried that the hills will give way bringing everything down with them,” Wendy says. The team at the hospital regularly complete mass casualty drills in preparation for such an event, and Red Cross has been working with the population to mitigate risks throughout monsoon season. 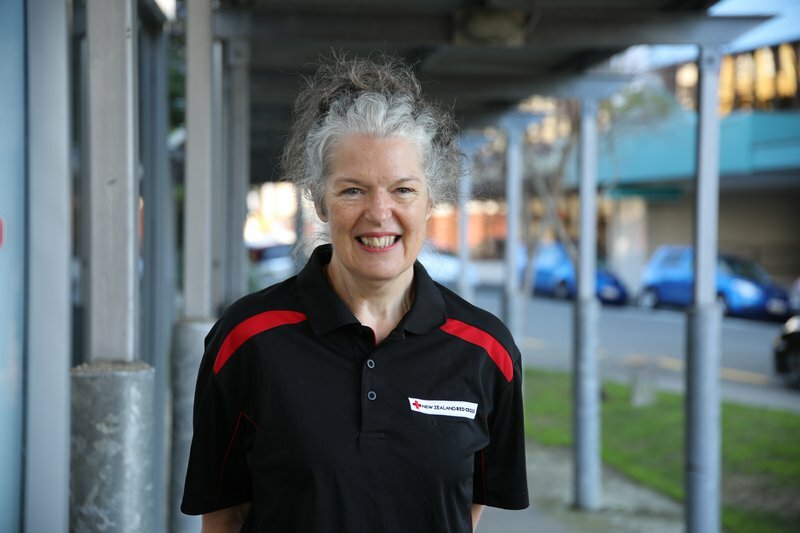 Cox’s Bazar is Wendy’s eighth deployment with New Zealand Red Cross; previously she’s responded to crises in countries such as Afghanistan, South Sudan, Kenya and Pakistan. As a theatre nurse, Wendy is on-call 24/7 to help deliver life-saving surgery. “Sometimes I don’t sleep for two days, it’s hard but I think having a good team looking after us all makes it possible,” she says. While Wendy spends most of her time within the hospital grounds, she says visiting the camp that houses displaced people has been a humbling experience.